"Briar Cliff Township - New England's best kept secret...turns out is has a few secrets of its own. "For much of the year Briar Cliff is exactly the same as any other small town snugly nestled into the forests of the New England coast. But once a year when the winds change... old stirrings arise from long kept secrets, forgotten misdeeds and a thirst for vengeance. And so the Gathering begins...Something Wicked this way comes..."
I am the author of the Ravenhurst Series -a time-travel paranormal romance, written with an ensemble cast of characters -Forgotten Time, Shadows of Yesterday, Time to Remember are all available now and the fourth installment Dreams of Tomorrow will be coming this year 2013. I also write YA/contemporary urban fantasy with a kick-The Gathering Series about Gargoyles. 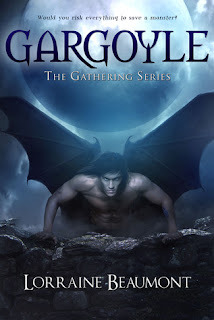 Elyograg, Gargoyle and The Gathering Series Vol. 1 are now available on Amazon and Barnes & Noble.